Ravenous Wednesday with Special Guest Kit Marlowe! So today we have another special guest … one I’ve not yet met. She is a friend of our own Kate Laity and C. Margery Kempe, which means she’s bound to be trouble on the hoof. In the best possible way, of course! I don’t know what Kit’s post will be about as this is a case of me begging for someone to write something for today’s RR Wednesday. Yes, someone lost track of the time, day of the week, home address, you name it… So luckily for me Kate and Margery said they’d do the equivalent of a literary press gang and get Kit to be our guest. 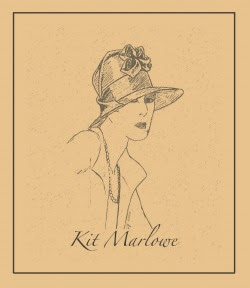 Ooh, and the placeholder can now give way to the actual post, so please welcome Kit Marlowe to Un:Bound!! I know, I know: all writers do, but I love the superfluity of language that supplies slang. I think in part it’s like knowing a secret handshake or being part of an exclusive club. I specialize in rather obscure languages: for my graduate work I studied Old English, Middle English, Old Norse, Old Irish, Old High German, Middle High German, Modern German, Modern Swedish, Modern Icelandic and Latin (whew!). But what I really love most are informal vocabularies that define a time or place. 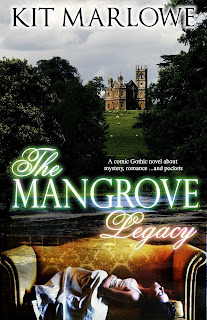 In my forthcoming novel, The Mangrove Legacy (coming in November from Tease Publications) I used a lot of Regency era cant even though I often stretched the narrative to a later time period. But the cant from that period was so much fun! I first learned it from the pen of Georgette Heyer, whom I first learned about from the fabulous Stephen Fry, who listed Heyer among his guilty pleasures on his 50th celebration. The slang from that time is so rich: “foxed” means you’re drunk, as does “disguised” and “tap-hackled”—how quickly slang dates! But some terms can be easily understood even much later, like “swimming in lard” which refers to someone with considerable wealth, and “making a cake of yourself” which describes someone making a fool of themselves. Often Cant and slang belong to a different—and often lower—class, marking out their standing verbally in any social situation, like rhyming Cockney slang—if you like your Tilburys pulled up as you head up the apple and pears or have done for yonks [I love the word “yonks”]. Like the thieves cant in the 18th and 19th centuries, the secrecy was a necessary part of things to keep from being caught. Of course you can go to far and I always think of the Monty Python RAF sketch that shows what happens when people try too hard to develop a special patois for a given group and end up being completely incomprehensible. Sometimes, too, it comes back: a lot of the jazz age hipster terms I used in the novella I have coming out next month from Noble Romance, “The Big Splash” have not gone out of fashion. “How late you are, Constance,” Mr. Wood drawled, exerting as always as little effort as possible to make conversation, though his dark eyes caressed her form. “Only two,” Mr. Wood said, leaning toward Constance to rest his rather large hand upon her thigh. Mr. Wood nodded to the waiter who whisked himself off to accomplish this task. Her companion’s fingers slipped across the ruffled length of her skirt to hook under its edge and begin drawing the fabric back to expose her stocking. “Need I remind you that we are under the bright glare of luncheon lights, Mr. Wood?” Constance said severely even as the familiar tingle of desire warmed her thighs. “I don’t know what you mean, Constance,” Mr. Wood said with a nearly believable tone of innocence. “Why don’t you order the brisket? I have enjoyed it many times.” Why did nearly every thing he said seemed aimed to raise a blush? Or could it be merely his hand on her leg? Constance closed her eyes to enjoy the sly touch of his fingertips along the top of her stocking and sighed happily. To think only this morning her life had been in disarray. Now everything had gone back to normal—well, as normal as her days ever got. “Your drink, miss,” the waiter murmured, setting the delicate stemmed glass before her. “Very good,” Constance said with a sunny smile, picking up the beverage with her slim fingers. 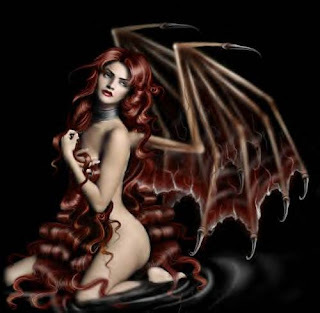 “I shall have the brisket.” With practiced ease, she threw back the martini, which struck her throat with a cool thrill then warmed the path to her stomach. “And another martini,” she added. The waiter smiled, took her glass and backed away in silence. “You’re lucky they have long tablecloths here,” Constance scolded quietly. Mr. Wood said nothing but leaned in to kiss her cheek sweetly even as his hand slipped deeply between her thighs, his pinkie just tickling the silk of her knickers as he did so. With an effort, Constance maintained her composure. “Care for a cigarette?” Mr. Wood asked, a wicked smile curling his lips. “No, not especially at present,” Mr. Wood said, wiggling his defiant finger in such a delicious manner that Constance no longer wanted to discuss the changes in her household staff, important though they might be. “Can we have the brisket to take away?” Constance asked the waiter with a sweet air when he arrived with the steaming plate. Within a few moments, the two were headed out onto the busy street where a cab arrived at once as if aware of their urgency. 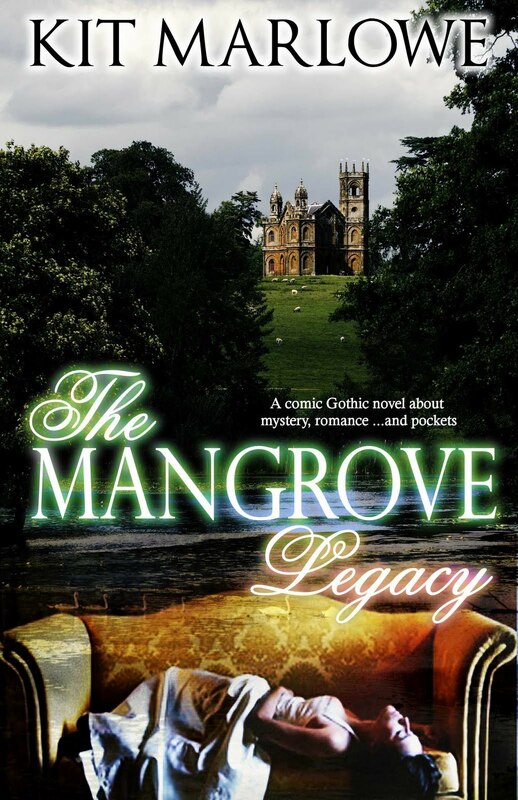 They made it all the way to her parlour before Mr. Wood dropped the neatly boxed lunch, grabbed Constance and pulled her into a kiss that was anything but polite. “My mother does not approve of you,” Constance whispered fiercely when Mr. Wood extricated his tongue long enough for her to do so.